What rating are your apartments? Our apartments are rated 4 to 4½ stars in the “Self Catering” accommodation category. The apartment is serviced every seven days from check in. Should you require additional servicing you will need to contact the office and an extra fee will be payable. Use of the building's facilities including the pool and gymnasium (and tennis court if applicable). High speed WiFi which can be connected to 5 laptops/devices. Your apartment includes everything necessary for a comfortable stay including high quality furnishings and appliances, wireless internet access, linen, towels, hair dryer, fully equipped laundry and a fully equipped kitchen with a dishwasher, microwave, fridge, oven and gas cooktop. How many people does each apartment sleep? Porta Cots are available for $18 per night or $26 with a high chair. High chairs are available for $13.5 per night or $26 with a porta cot. Our secured carparks are accessed by remote control. A charge of $25 per day, $140 per week, $315 per month applies. Please note: Car spaces are subject to availability and MUST be BOOKED a minimum of 2 days prior to arrival. Please note only one car space can be booked per apartment. Are unfurnished apartments available for lease? Do your apartments have WiFi / broadband internet? Yes, all our apartments are connected to a quality high speed broadband network with individual WiFi routers in each apartment. Our free service allows up to 5 laptops/devices. The connection speed of up to 12 Mbps is ideal for accessing corporate intranets, downloading large files and video streaming. Complimentary WiFi is also available at the reception offices of all properties. Can I use a fax machine or dial-up modem in your apartments? For bookings confirmed for Special Events Periods there is no cancellation fee and your deposit will be refunded in full if you cancel at least 30 days before check-in. For bookings during Special Events Periods where the booking is made less than 31 days prior to check-in then full pre-payment will be charged to the credit card provided and the booking is non refundable. Non-refundable rates cannot be modified or cancelled. Any cancellations or modifications will forfeit the total amount paid at the time of booking. Minimum stay for check ins on a Friday or Saturday night is 3 nights. Minimum stay during Special Event periods vary. Visit our Rates Page for current Special Events pricing and conditions. Simply contact us on +613 8256 7500 / 1800 008 910 (Free call in Aust) or book online. For standard bookings: To confirm your booking, the first night's accommodation tariff will be charged to the credit card provided at the time of booking, as a deposit (refundable as per our Cancellation Policy). For bookings over Special Event Periods where check-in is MORE than 30 days away: The first night's accommodation tariff will be charged as a deposit (refundable as per our Cancellation Policy) and the full balance will be charged 30 days prior to arrival and is non-refundable. For bookings over Special Event Periods where check-in is LESS than 31 days away: Full pre-payment of accommodation will be charged on the day of booking and the booking is non-refundable. For stays of 7 nights or less payment must be made on check-in. For stays of 8 nights or more the first 7 nights must be paid for on check-in. The remaining balance must be paid weekly there after. What are your special event periods? A credit card must be supplied if staying at our apartments. All three bedroom apartments require a security bond of $500 with a credit card pre-authorisation on check-in. The security bond will be refunded on departure following the verification of no damage to the apartment or any outstanding charges. All bookings over Special event periods must provide a credit card as a security bond. Keys can be collected from our office (67 Power St) between 7am and 8pm, 7 days a week. Keys can be collected from our Southbank Office (187 City Rd) between 7am and 9pm, 7 days a week. Keys can be collected from our Whiteman Street Office between 7am and 8pm, 7 days a week. Keys can be collected from our MP Deluxe Office (241 City Rd) between 7am and 8pm, 7 days a week. Keys can be collected from our Lonsdale Street Office (618 Lonsdale Street, Melbourne, Enter via Merriman Ln) between 7am and 9pm, 7 days a week. Key collections outside our office hours are available by prior arrangement. Key collection location and check in details will be provided upon confirmation of your booking. Guaranteed check in time is 2pm and check out time is 10.00am. You are welcome to store your luggage, before check-in or after check-out, at our Southbank Office (187 City Road), Whiteman Street (63 Whiteman Street), MP Deluxe (241 City Road), Power Street (67 Power Street) or at Lonsdale Street (618 Lonsdale Street). Please note that there are no storage facilities at SouthbankONE. Do I need to pay a security bond when I check in? Guests who book a 1 or 2 Bedroom apartment are required to provide a refundable $100 security bond and photo identification. Guests who book a 3 Bedroom apartment are required to provide a refundable $500 security bond and photo identification at check-in. We can arrange for an executive transfer (maximum 4 people) from the airport to your apartment and also return you to the airport on check out. The cost is from approximately $99 to $116 for domestic and international transfer each way (inc GST). To request this service please contact us by phone after your booking is confirmed. Does the Airport Skybus connect with Melbourne Short Stay Apartments? 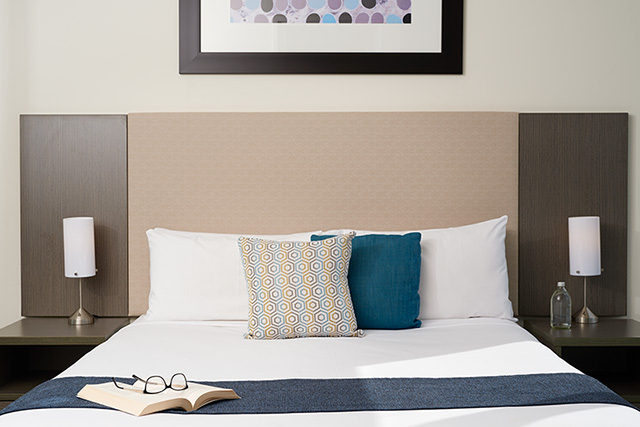 Our Lonsdale Street apartments are a short walk to the Skybus Terminal at Southern Cross Station. 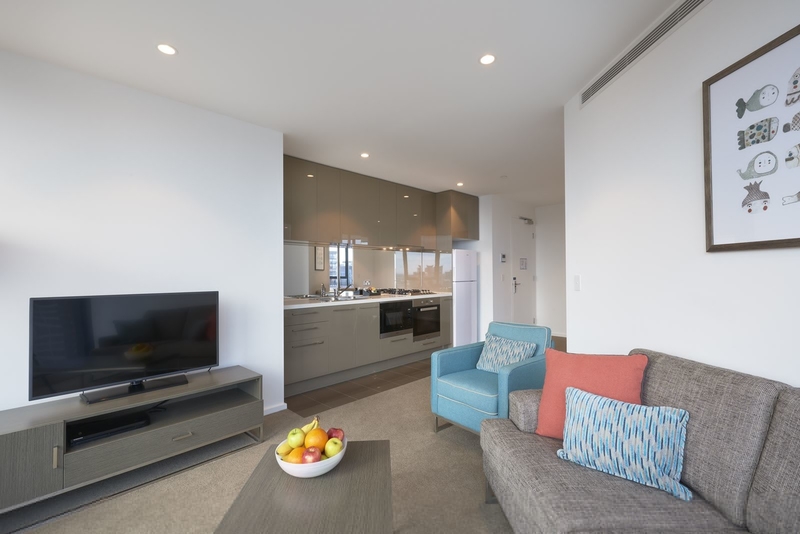 Our Southbank apartments can easily be accessed by Skybus. Guests can make use of the free Hotel Connection Service operated by Skybus. For more info on this service visit www.skybus.com.au/service-info/. Skybus operates 24-hours, 7 days a week, with 10-15 minute departures between 5:30am and 9:30pm. It is 20 minute (approx.) journey from the airport to Skybus City Terminal at Southern Cross Station. For timetables, pricing and to book, visit www.skybus.com.au. Enter the code MELBOURNESHORTSTAY. Can you help me with a myki pass so I can use public transport in Melbourne? Yes. You can purchase a myki visitor pack from any Short Stay and CityTempo reception desk. The cost of an adult pass is $14 and a child's pass is $7. How do I get to AFL games at the MCG and Etihad Stadium? Our CBD and Lonsdale Street apartments are a short walking distance from the footbridge that links to Etihad Stadium. Tram lines outside Whiteman Street will quickly connect you to the Etihad Stadium footbridge. If you prefer to walk it will take you approximately 20 minutes to the stadium gates. If you are staying at our CBD or Lonsdale Street apartments various train lines from Southern Cross Station connect to the MCG (Richmond Station). If you are staying at Southbank Collection, SouthbankONE or Power Street you can enjoy a pleasant walk to the MCG along the beautiful Yarra River in under 30 minutes (slightly longer from Whiteman Street and MP Deluxe). Otherwise the MCG can be reached by trams along Flinders St or a short taxi ride. What do guests say about Melbourne Short Stay Apartments? "...Just a short note to let you know how much Daphne and I enjoyed our stay in Melbourne. The apartment was fantastic and the situation couldn't have been more convenient. We will be staying with you again next year when I will be attending a conference. We will also be letting all our friends know what a great deal you offer...."
I am looking for a different style of gift, do you sell gift vouchers? A short stay in a luxury apartment in the centre of Melbourne is a wonderful gift idea that is sure to be appreciated. Contact us and we can customise a special stay for you to give as a gift. Where can I find information on events and activities in Melbourne?